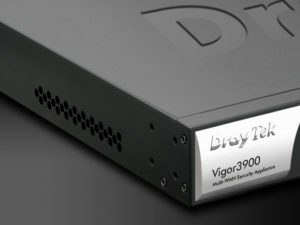 The DrayTek Vigor 3900 has been around for some time now. Sadly, this isn’t exactly mirrored on the world wide web. The amount of documentation, samples, and FAQs is sparse; guides, and discussions are few. For a product in this class. And that’s not very good at all. I’ve toyed with quite a few firewalls. They all have their pros and cons. Well, almost all of them. Some only have cons, really. But I cannot for the life of me understand why DrayTek has such crap documentation, crap support information archives, and have to go their own way on every single administration user interface design. Because they really do make great products. Maybe they are a little bit too aware of that fact. This firewall is just horrible. Everything is backwards and doesn’t work. Had 23 failed in short time. Just a disaster. LDAP radius etc. impossible to configure properly it’s just very limited on normal options the ones you want are missing. Just horrible piece of equipment. Stay away. Cisco is difficult to master and configure but it’s a piece of cake in compare to this if you value your time just don’t. Major flaws in the basic operating system. Traditional functions that Draytek have been rather superior with take for instance simple VPN, also have flaws. We could not establish IPSEC connection between two draytek 3900’s .. Had to resort to routed PPTP. IPSEC established no problem with older model 2950’s etc. Consistent lockups, failure to pass traffic upon reboot, which was resolved by a “Beta” firmware 1.3.0 by the developers which has not even been released yet. A complete backward step. Tech support literally non existent. I requested a refund or exchange for something else. They did not oblige. Stick to the DrayOS models. Soild and reliable. You really have screwed up Draytek. Not fit for home use, for company use just DON’T! Horrible hardware and software errors most of the functions don’t work properly and it’s not because it’s backwards, it’s just full of bugs. Freezes are common and next firmware updated don’t resolve any of the issues. Web filtering is sometimes working 🙂 hardware is not sufficient to pull what is advertised. Just horrible. Support is non existent and just plain horrible. No knowledge about their own product. Only a mad Admin would buy this equipment. I’m in process of getting rid of it from network I took over. Retarded software and hardware. Go home Draytek! Next Next post: När man får månadsfaktura från Klarna … den där känslan … WTF? !